The principal lyrical theme from the second movement is equal in fame and popularity to Pachelbel�s Canon and Albinoni�s Adagio. 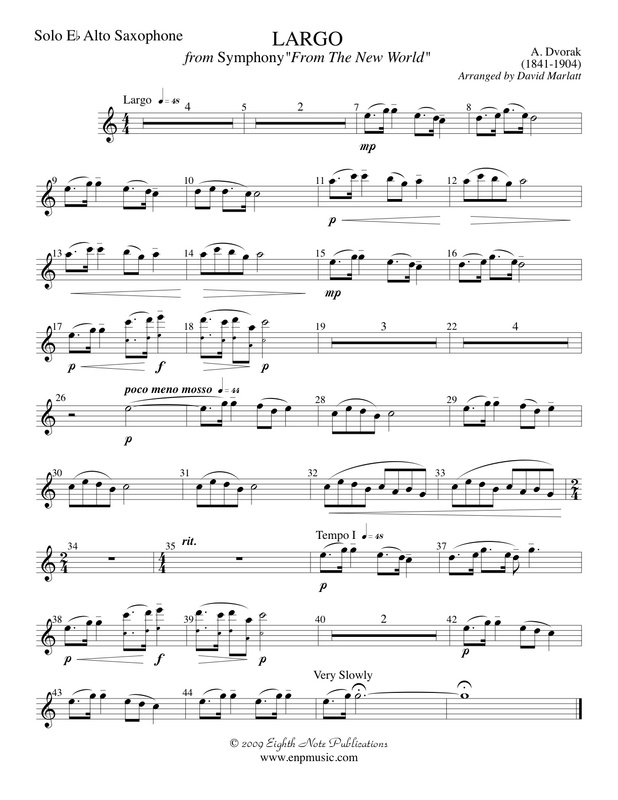 This incredibly simple and beautiful theme has been arranged here for a soloist (Flute, Clarinet, Alto Saxophone, Trumpet or Baritone) and band. This is a great piece to showcase the talents of a member in the ensemble.